For anyone looking to try life as a freelancer, there are certain basic principles to adhere to. Ground rules that can turn you into a raving success if you stick to them or a hopeless failure if you choose to ignore them. As I only started freelancing about two and a half hours ago, I won’t pretend to have all the answers to help you get started. That’s why I’ll resort to a much more inspirational businessman that has made it big in his particular field. Of all the entrepreneurial role models, who better to look up to than Breaking Bad’s Walter White? 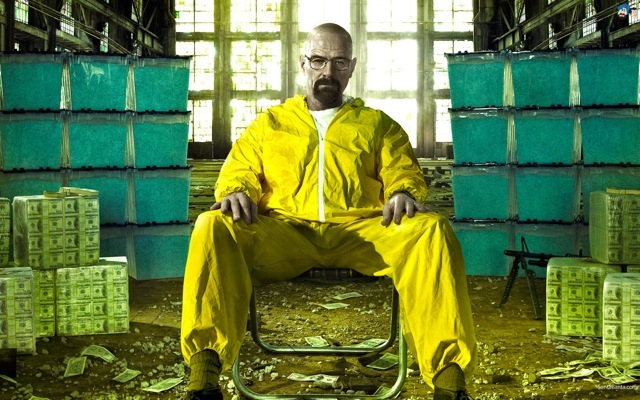 Granted, Mr. White has made some questionable business decisions along the way (choosing meth as his core product to name just one), but at the end of the day he has managed to build a multi-million dollar empire based on the fact that he consistently delivered a product better than anyone else’s. From the very first batch cooked in the scruffy RV in the desert, to the high-tech lab hidden below the laundry complex, he refused to settle for anything less than his very best. Translated to the (slightly) less dubious world of advertising, this means you should never submit any work for review that isn’t close to being 100%. If it’s not the best you can do, go back to the lab and cook up something better. Quality is the first thing clients look for. Everything else is secondary. Once you’ve got your product sorted, the next step is to let people know who they’re dealing with. Something Walter White – or more specifically Heisenberg – has always been particularly clear about. Though I’m not proposing you strangle a rival freelancer in your basement or blow up your main contractor using a disabled suicide bomber, the lesson here is this: apart from quality, clients also pay for clarity. When people tell it like it is, there are no surprises even though the truth may not always be what clients want to hear. The New Mexico meth scene knew not to cross Heisenberg, because they understood they’d end up dead. Heisenberg wasn’t liked any better because of it, but he was respected all the more and business boomed as a result. In the (marginally) less cutthroat advertising world, being respected doesn’t have to go hand in hand with being disliked. If you manage to be both valued professionally and liked personally, you’ve got freelancing gold on your hands. So assuming you’re good at what you do, clients can rely on you and you’re a hoot to work with, then like Walt you may want to look into hiring a storage box to stash your cash. But beware: the single biggest pitfall for nouveau successful freelancers is going on a spending spree. If you’re anything like me, then you can perfectly relate to Walter buying his son a brand new Dodge Challenger – just because he could. But unless you’ve been in the freelance game long enough to know the work will keep coming in, saving up is the way to go. After all, it’s the very reason why Walter got into the meth business in the first place. But the real question is of course not what Walter White would do, but what he will do – in next week’s finale with that M-60 in the back of his car. Like any resourceful entrepreneur faced with adversity, I know he’ll find a way out.